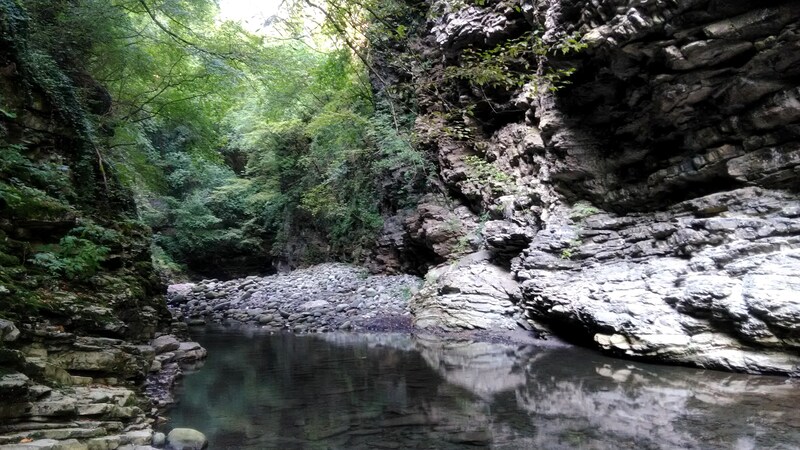 Stretti di Giaredo, discover this Eden in Lunigiana! Do you know how nature is fantastic here? Arbaspàa recommends you the experience of river trekking: the ideal if you love be outside and the adventure! Pure waters, very clear, steep rocks and streaks of different colors, lush vegetation, play of light. 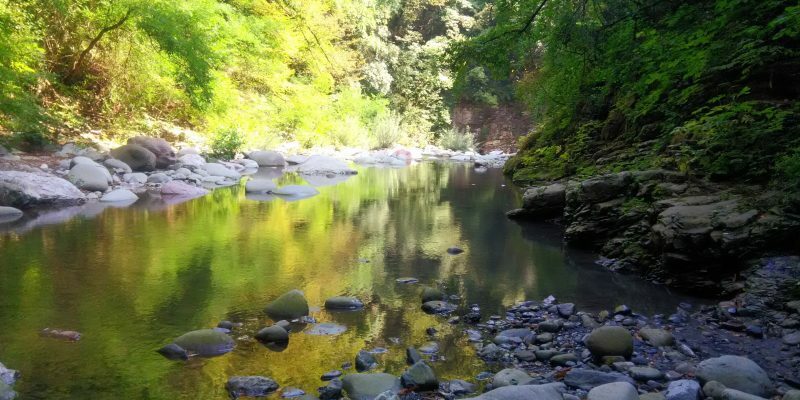 We don’t know what appearance the heaven on earth has, but probably this stretch of the river Gordana, close to Pontremoli in the heart of the Lunigiana, is similar. We are talking about the Stretti of Giaredo, a real spectacle in nature: here, you will find gorges fifty meters high above this clear stream, that form limpid pools, passes through the stones, jumps and refreshes, forming small waterfalls. It’s an experience good for body and mind here, and with the Arbaspàa tour dedicated to river trekking (https://bit.ly/2Oyqffb) you will have the chance to try it … and you won’t regret it. After the appointment at the information point close to the beautiful medieval church of Sorano (take a little time to admire it inside and out), you will go forward the small village of Cavezzana di Giaredo: a charming place with a few inhabitants surrounded by nature and meadows where cows of fine breeds graze, characterized by stone houses and flowers. From here, after having changed and worn all the equipment that will be provided by the guide (wetsuit, helmet and life jacket), you will follow a path under the trees that will take you to the river. 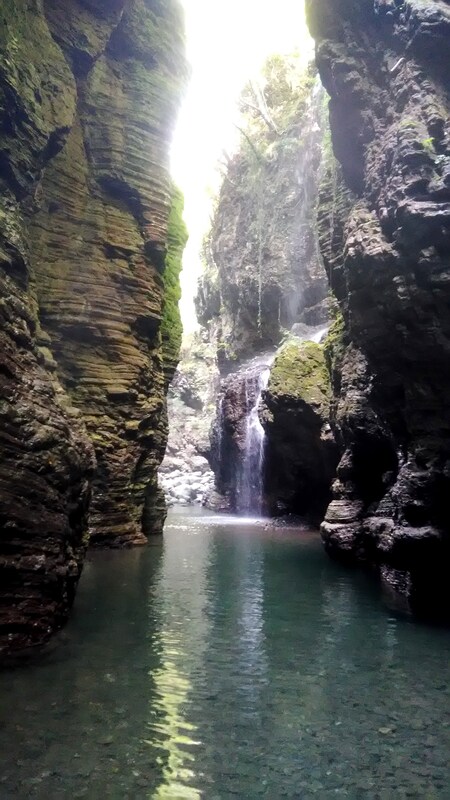 An experience shared in a group with which you will go to the discovery of a unique environment, walking on the sides, but also in the riverbed, up to the fantastic canyon that will leave you literally speechless. The nuances, the plays of light, especially between the two sides illuminated by the rays that filter, alone are worth the day. But it doesn’t end here, because Giaredo will give you something else, starting from feeling you melt with that marvelous nature, of which you will discover features and surprises, like frogs small as a coin that jump from one stone to another. In addition to this, you will have fun and excitement: you won’t have only the thrill of discovery, but also that of swimming, diving and playing – why not? – in the cool waters of the Gordana. They need a good balance and a good pair of shoes – trekking or grip, but this route is for everyone, without particular requirements and it is not necessary to be experts, but only follow the instructions of the guide carefully. Finally, you will taste a light lunch with typical products, to discover the taste of Lunigiana that, like the Stretti, will conquer you, thanks to its unique flavors and recipes that tell a long and happy tradition.